Hello Gamers, it’s that time again! Is it just me or did time go by fast? Anyways on to gaming! The latest hottest thing right now is the Star Wars Celebration! Lot’s of things were released and shown and I will try my best to brief what will be coming! 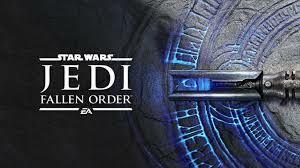 From Respawn Entertainment, Star Wars: Fallen Order will be released on November 11th 2019. It will be a third person action-adventure game. Putting you in a role as a Jedi Padawan who barely escaped the Order 66 after the events of Episode III- Revenge of the Sith. Fallen Order will be available on PS4, Xbox One and PC. If you haven’t seen the trailer out make sure you check out EA’s Website, you can also pre-order. Another exciting thing I heard during the celebration is a new trooper, the Surge Trooper! They are trained to find jedi without being detected and also trained to fight the Jedi. Believe I’ll be picking this up at the end of the year, how about you? Behold, a VR series game coming from Lucas Films and Oculus. 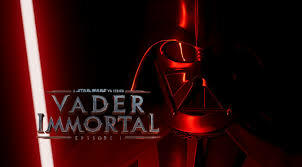 Vader Immortal: A Star Wars Series Episode 1 will be the first of three episodes! For this game you will be taking on a role as a smuggler pulled out of hyperspace near Mustafar where you encounter Darth Vader. Each episode is expected to take roughly 60 - 180 minutes long depending on the players skill level. From what I’ve heard on the panel they really wanted to make this a fun experience and make you feel like your in the story. It is to come out for the Oculus Quest headset and the Rift line devices. There is not an official release date yet, but should be coming later in the year. Check out the Oculus Website for the trailer. This one for some reason I’m excited about trying out. It will be the first Star Wars game to hit the Nintendo Switch, Star Wars: Pinball. If I remember correctly it is to be released in September exclusively for the Switch. There will be 19 different tables to play from prequel, classic and sequel trilogies also the animated series. There will be new modes like community-based Galactic Struggle, gain points for light side or the dark side. Career mode where you can choose Dark Side/Light Side to work up the ranks or for Padawans a Force Training mode. It will also utilize the Switch’s HD Rumble and on the Switch itself you can flip it vertically for a better screen fit. Star Wars.com got to interview Chris Baker the Director about the pinball game, make sure you check out their article, lots of information and some pictures as well. If you haven’t caught the trailer for it yet, check it out here. For those out there that have a subscription to Star Wars: The Old Republic. The newest expansion “Onslaught” is coming in September. They are offering the expansion for FREE to those that have a subscription! There will be two new planets, a new Flashpoint on Corellia, a new Operation on Dxun and much more. For more information check out their website. It’s that time again for the Overwatch Archives Event. During this time you can experience story-driven co-op missions from different points throughout the history of Overwatch. New skins, emotes intros will be available during this time! Stop by the website to see what you can get. Event is to end May 6th. On Humble Bundle this week RPGs are on sale. Popular ones on there is the Witcher and then Borderlands! Check out the Humble Bundle Store to see what all they have, sale is 30% to 78% off. Also they have released an Enhanced Game of the year Edition for Borderlands. For those that love a high definition quality. This is where I’ll stick my hype for Borderlands. It’s such a fun game! You can also play with other players. Borderlands 3 was announced and will be released in September. Stop by their website and watch the new trailer! Masks of Mayhem, it’s going to be a blast! For anyone out there at enjoyed the old Warcraft games, GoG.com still has the Warcraft I & II Bundle available. You can even buy them separately if you have one or the other already. FIST GMRG Competitions - Q2 - Every three weeks there will be new competitions! Remember GMRG rank X and up placement counts towards the leaderboard! Gamers join the ranks of the GMRG! How do you join you ask? Read over the GMRG-History course and pass the exam within the Shadow Academy. Supported Games - List and information on games supported by the brotherhood. Rites of Combat - Rules to follow when gaming. Fist-O-Matic - Report PvP matches against other DJB members. Pendant of Blood - How to obtain six medals within the different gaming platforms. Cluster Values - List of the gaming platforms to view cluster values and modifiers. Discord - DJB voice server for gaming. Telegram - Chat program that is used within the DJB. Click Here to join the Gaming channel or one of your liking. Make sure you follow the rules at all times. Any questions\concerns or ideas please reach out to us. We are here to help. Can find us within the DB Gaming group in Telegram listed above. [Log in to view e-mail addresses] - Email proposals or questions/concerns anytime. Thank you for stopping by and reading my report. Make sure you read Drac’s report from beginning of the month and his Supplemental Report. We are looking for a new magistrate! Bealor will have to leave his position at the end of the month. Thank you Bealor for being part of the office and good luck to you! Until next time! GAME ON!